Join co-host Hans Roy this friday at 9PM as we review the latest news and media on Haiti and Haitians including the latest in elections and elections funding. 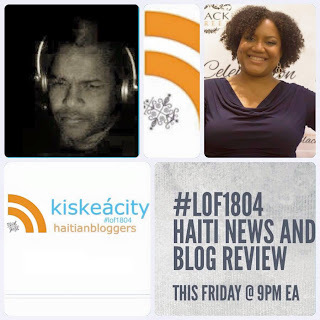 Listen live or on demand on the player below or at http://www.blogtalkradio.com/pancaribbean/2016/06/11/legacy-of-1804-haiti-news-and-blog-review-lof1804. Listen LIVE ONLY on the phone at (714) 242-6119.